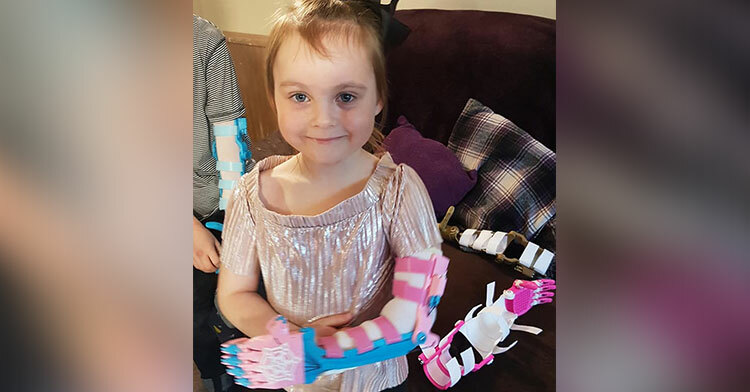 Dad Designs Bionic Arm For Son, Then Makes Another For Young Girl. When people set their minds to solving a problem, they often come up with solutions that benefit society as a whole. Such is the case with father and inventor Callum Miller. His 10-year-old son, Jamie, was born without a left hand, making it difficult for him to participate in the same activities as other boys his age. Imagine not being able to hold a baseball bat, never mind everyday tasks like eating and brushing your teeth. 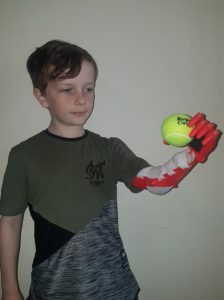 Determined to help his son, Callum began looking into prosthetics. During that search, he found a nonprofit called Team UnLimbited. They build robotic arms using LED printers. But it turned out there was an 18-month-long wait. By the time Jamie got his arm, it’d probably be ancient compared to whatever designs engineers had come up with in the interim! So, instead of putting his name on the list, this creative dad decided to go the DIY route. 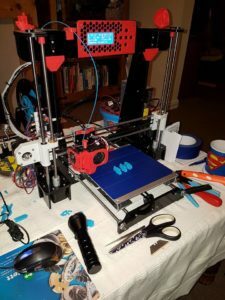 Around Christmas, he purchased a 3D printer on eBay, learned how to use it by watching online tutorials and, several weeks later, produced Jamie’s first arm. 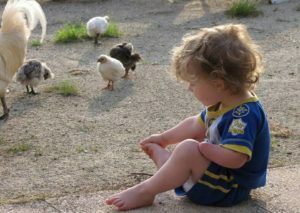 Meanwhile, fresh from his first success, Callum heard about a little girl, Keira Campbell, who was born without a left hand and having similar problems as Jamie. But she was just five years old, and the doctors told her mom that she’d have to wait until she was a little bit older before she could be fitted for a prosthetic. ‘We’ll just see about that,’ Callum probably thought. 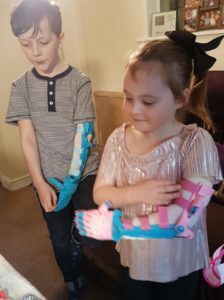 He contacted her mom, Nikki Talbot, with an offer to create an arm for Keira, then went straight to work. Callum plans to build Keira several more arms that she can use as she grows older, and will tinker with the design so the fingers on both kids’ arms can move. What’s more, Callum hopes to help other kids like Keira and Jamie, which is why he set up an online fundraiser. This isn’t going to be an overnight thing, and we’re aware it will take time. but feel current technology today is at a level for the home user to be able to do this, and at a reduced cost to current options. 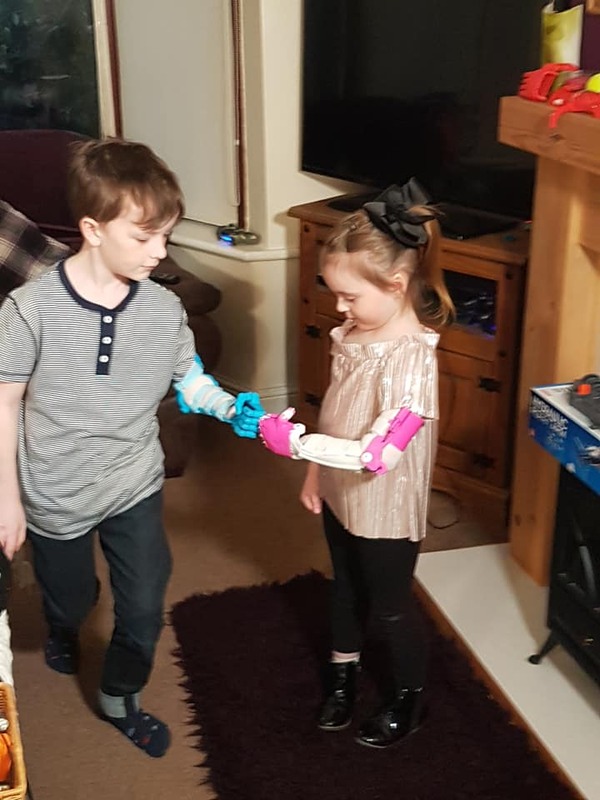 Any money raised will be used for printer upgrades, other equipment and scanners, electronics and sensors and consumables, and we also wish to build arms/limbs for other children in a similar situation to Jamie while we’re developing this and new designs. Jamie is so impressed with his dad’s creation that he’s even thinking about pursuing a career in the robotic arm industry himself! Click on the video below to hear more about this heartwarming story, and don’t forget to share Callum’s impressive drive to help these children. 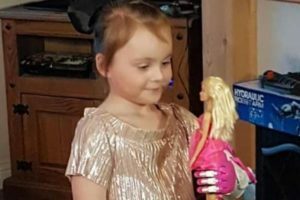 Five-year-old Keira Campbell was born without her left hand. She was told by doctors that a prosthetic limb wouldn't be suitable. 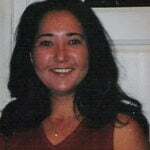 After hearing her story on social media, Callum Miller offered to help.